For local businesses, there's now all the more reason to create a Facebook Page. Yesterday, Facebook announced updates to the 'Nearby' tab within its mobile app, giving local businesses an even better opportunity to get discovered by Facebook mobile users. And considering there are more than 600 million of them, this isn't really a benefit brick-and-mortar businesses should overlook. In fact, with Facebook's latest update, it seems like Google might have some new competition when it comes to local search. 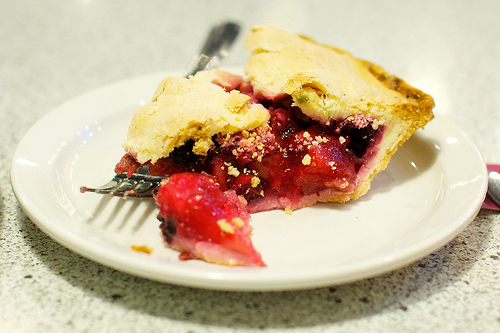 Let's take a quick look at what Facebook's updates actually entail, and how local businesses can win their piece of the Facebook local search pie. 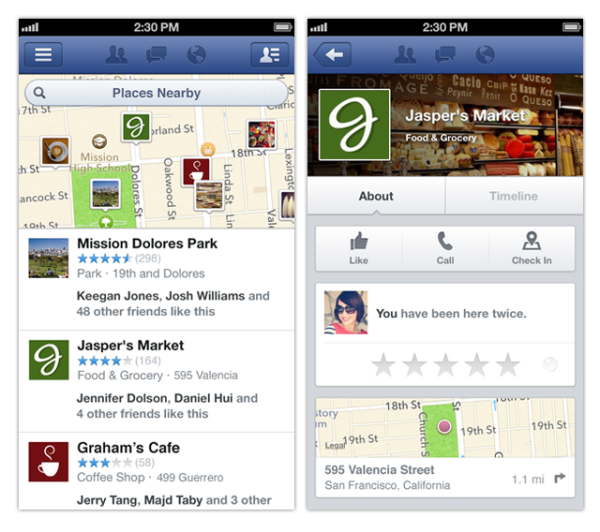 What Exactly Did Facebook Do to Its Nearby Tab? Before yesterday's update, the Nearby tab was dedicated to showing users where their Facebook friends had checked in. With Facebook's update, now users of the Facebook app (for both iOS and Android) will not only see which friends have checked in at specific places, but they'll also be able to discover places and businesses that are nearby. These results are ranked primarily by the recommendations of the particular user's friends, which factor in criteria such as star ratings, check-ins, and Likes. And if there are no recommendations from the user's network available, result rankings will default to the larger Facebook community’s engagement with that business or place. 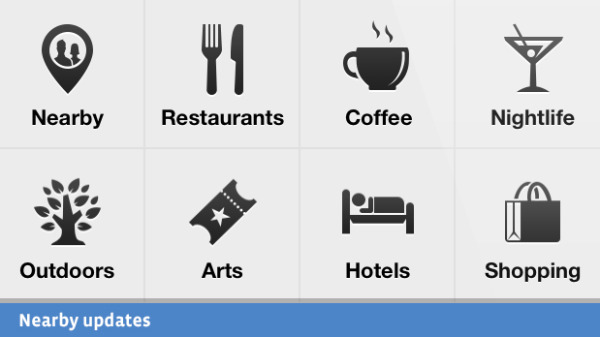 Furthermore, Facebook mobile users will now be able to search for places by category -- such as restaurants, coffee, nightlife, outdoors, arts, hotels, and shopping. Finally, users will also have the ability to connect to businesses directly within the Nearby tab on their smartphone by performing actions like Liking, checking in, calling, or getting directions. They'll also have the opportunity to share their recommendations with either the public (by default) or just to specific Facebook connections, as well as rate places using a five-star rating system (which are always public, but editable over time). That being said, users will only be able to leave ratings if they've legitimately checked in. How Should Local Businesses Make the Most of These Updates? First and foremost, create a Facebook business page! Follow our simple step-by-step instructions, accompanied by a video tutorial, to get set yours up today. Make sure your page is updated with all your business' basic information in its 'About' section, especially your physical address, store hours, phone number, and other critical company details. Encourage engagement! Use your marketing assets to motivate your mobile Facebook users to Like, check into, rate, and recommend your place page in Facebook mobile. For more information about these updates check out Facebook's FAQ page about Nearby. What do you think of Facebook's updates? Do you think it will become a local search contender?